Our residency with the John Michael Kohler Arts Center is in full swing. We had our first story slam at Paradigm Coffee and Music in beautiful downtown Sheboygan on May 26th. 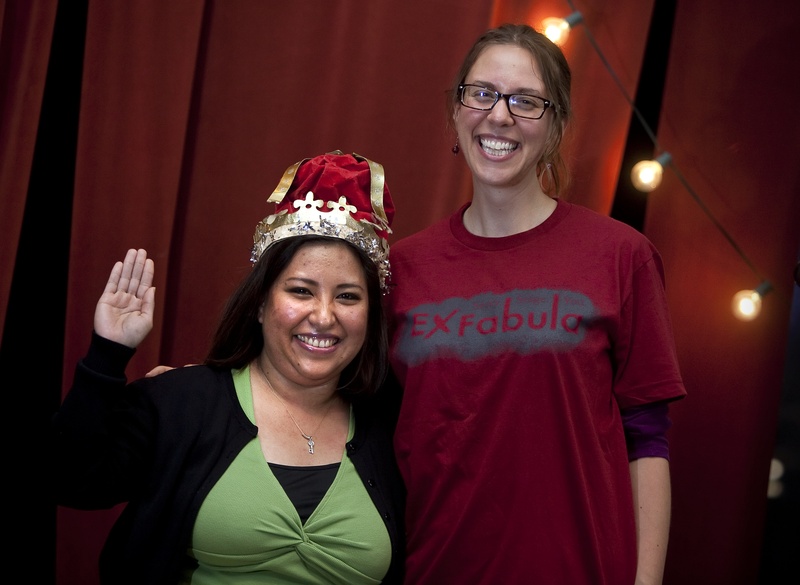 We were thrilled to see so many folks from the community come out to hear and share stories on the theme “Oops.” The highlight of the evening was an Ex Fabula first: our volunteer Leah Leone translated two stories live from Spanish to English for the audience. One of those Spanish-speaking storytellers, Mirna Torres, won audience favorite for the night with her story of “cubetazo,” accidentally throwing a bucket of dirty water at a passerby. We’re hoping our next slam will continue to grow the love of storytelling in the Sheboygan community. 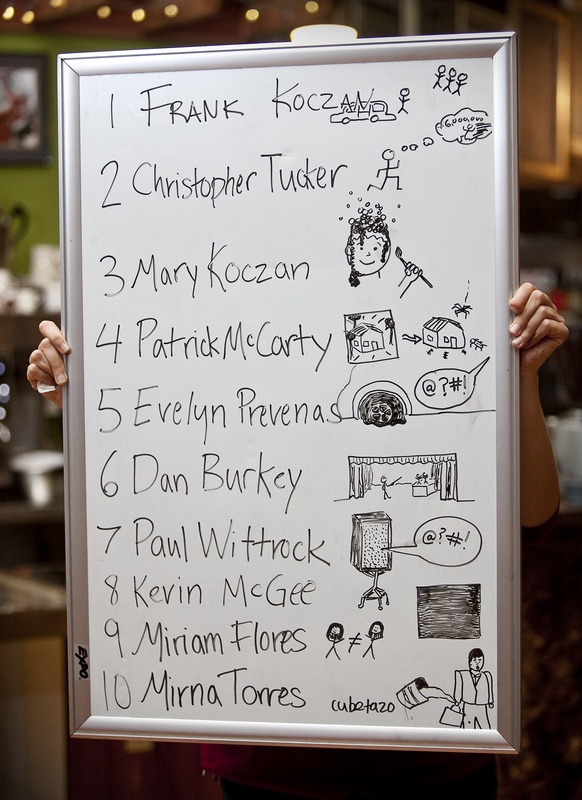 The “Brush with Fame” story slam will take place Saturday, June 16, 1 p.m. at the Plymouth Arts Center. If you’re in the area, stop by. For more information call, (920) 458-6144. Hola soy Nadia Flores de la Ciudad de México y estoy muy orgullosa de mi hermana Mirna Torres que participó en el concurso de fábulas y para sorpresa de todos e incluso de ella ¡ganó! Es fabuloso que hagan concursos de este tipo en donde se pueda desplegar el talento de las personas y sólo me queda decir ¡Arriba México Señores!